John B. Taylor (born December 8, 1946) is an economics professor at Stanford University. Born in Yonkers, New York, he earned his A.B. from Princeton University in 1968 and Ph.D. from Stanford in 1973, both in economics. He taught at Columbia University from 1973-1980 and the Woodrow Wilson School of Princeton from 1980-1984 before returning to Stanford. He has received several teaching prizes and always teaches Stanford's introductory economics course. An expert on monetary policy, he developed the Taylor rule, which provides a guide to central banks on how to determine interest rates. He has also been active in politics, serving as the Under Secretary of the Treasury for International Affairs during the first term of the Bush Administration. He was also a member of the President's Council of Economic Advisers during the Ford and George H. W. Bush administrations. Dengan meningkatnya intensitas pertemuan dan kerja bareng antar anggota sampai mendekati hari H, akhirnya perayaan hari lahirnya Republik Indonesia kemarin boleh dibilang sukses. Sekali lagi perlu ditekankan bahwa acara ini, dari persiapan sampai akhir pelaksanaannya, adalah salah satu cara untuk membina kedekatan dan keterkaitan diantara kita. Dilihat dari asal katanya "republik" (res + publica) artinya "public thing or matter". Jadi urusan KBMIH boleh dibilang perihal publik Indonesia yang ada di Hamilton. Dunia ini memang bukan cuma KBMIH saja, ada dunia lain di luar itu yang banyak puspa ragamnya. Namun apa lacur, sampai saat ini cuma ada KBMIH yang mewadahi orang-orang Indonesia yang tinggal di Hamilton, tidak ada pilihan lain. Terima kasih yang sebesar-besarnya kepada seluruh anggota KBMIH yang telah membantu terlaksananya acara ini, dari fungsi yang paling kecil hingga yang terbesar, yang maaf tidak bisa disebutkan satu per satu disini. Selamat kembali ke aktifitas dan urusannya masing-masing dan perlu diingat masih ada acara Parade Akhir Tahun yang bisa dipakai untuk refreshing lagi. Kalau ada sumur di ladang, siapa yang mau mandi; tapi kalau umur kita panjang, pasti kita bisa mandi lagi, eh maaf, berjumpa lagi. koleksi foto lengkap dalam CD (500MB) bisa diminta (ini aggregasi dari cameranya Yunus, Susi dan Wijaya). video akan diproses kemudian dari cameranya Rian. Confusing English: "Speaking of Which" or "By the Way"
When it came to a confusing English, I just looked up the Google search to find the answer. The confusing phrases are "speaking of which" (SOW) and "by the way" (BTW). Both seem to have no difference to me. 'speaking of which' would relate to the current subject/person under discussion. 'by the way' might be uttered to introduce a topic which has no revelance to the current topic under discussion but something said during that discussion reminded the person of something else. "Our neighbour has three wives as same as the story in the TV series (HBO) "Big Love". One day I invited him to join a party at our place. This party was actually planned by my wife just to make sure that he really has three wives and might bring his wives with him. Speaking of which, he is in fact a Mormon. By the way, I watch the series every week just for my curiousity on how Bill Henrickson (played by Bill Paxton) manages to deal with his wives. Unfortunately, my wife is not really keen on watching it with me, urging me to not convert to Mormon. Speaking of which, I am a Presbyterian." Can we store data in our spreadsheet that can be lively updated from the internet and then directly recorded into a table? Yes we can. 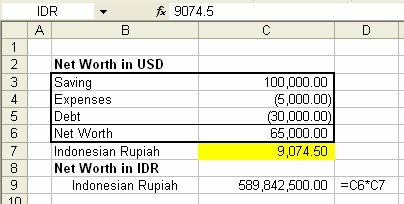 Here the example how your net worth in foreign currency can automatically be updated and recorded in terms of domestic currency. Check at the table we want to import, then click Import. In your Sheet1, the data would be stored like this. Name the cell of the currency rate as "IDRrate". Just highlight the cell and go to upper left next to "fx" to name it. Go to Sheet2 and create a table like this. 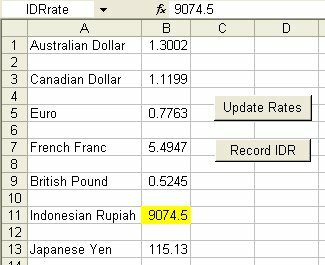 Name the cell of the home currency as "IDR". Record new macro and name it "autorate"
Record new macro and name it "liverate"
Record new macro and name it "recordrate"
Application.OnTime Now + TimeValue("12:00:00"), "liverate"
'Data updated every 12 hours. 'Data updated by clicking the "Update Rates" button. 'Data recorded from the web query sheet to the calculation table. Make buttons for "Update Rates" and "Record IDR"
Pick up a button put on the sheet. > Choose "liverate" for the "Update Rates" button. > Choose "recordrate" for the "Record IDR" button. Since the key parameters in valuation model are mostly influenced by market behaviour, then it is important to update some relevant market data in regular basis to see how they can affect the analysis. The relevant market data may include INDO17 risk-free rate, ASTRA share price and JSX Composite market index that are able to indicate changes in value. The main goal is to adjust Beta and WACC for calculating the live-updated equity value, most importantly, the equity value per share or share fair value of the Indonesia's giant automotive. When I took a shower last nite, I suddenly came up with singing this song: "Take Me Home, Country Roads" - John Denver. But, I changed the lyric with something like below. Then, I listened the mp3 and sang it again, and you know what happened? My tears just dropped and I then stopped singing and held my breath. What do you think if we might just sing it together at the independence celebration? Tumpeng is very much connected with life of most Indonesian people. Tumpeng almost presents in every kind of ceremony, happy or sad ceremony. The presence of rice formed in the shape of cone is generally served along with some particular kinds of food, which have symbols, meanings and hopes. Tumpeng is a stack of rice formed in the shape of cone, like a mountain. The shape represents a hope of increasing life toward a higher level of human needs and life-goals. Despite there are some other beautiful shapes, this cone shape is important and must be applied. In early days, tumpeng was presented with white rice. However, it has nowadays been served with yellow rice for the reason of attractiveness. This cone-shape yellow rice is then put on a container covered with green leaves, which are arranged beautifully. The rice is surrounded by some particular kinds of food. Every kind of food has its own symbol, meaning and hope. Chicken can be served as roasted chicken, fried chicken or curry chicken. In Indonesian culture, chicken is a common sacrificial animal therefore it represents an offering to God in terms of land animal. There are two choices of fish normally served with tumpeng: catfish or milkfish. Both represent an offering to God in terms of water animal. In particular, catfish symbolises humility as it always swims in the bottom of river. 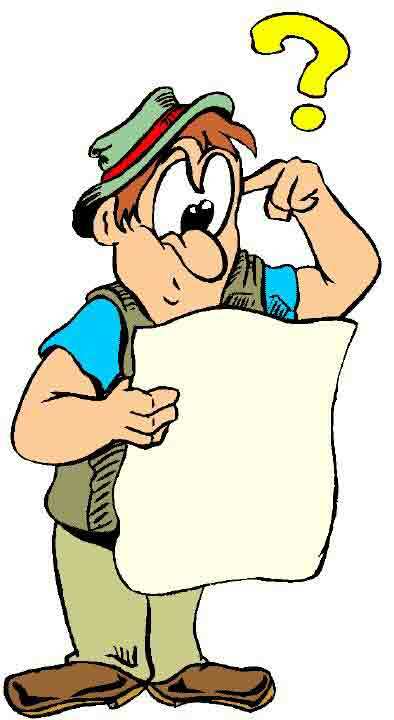 It also represents career path so that people should not mind to start career from a lower level. Catfish sometimes can be replaced with milkfish. Milkfish gives hope for people to get more and more luck and fortune as it is much bonier compared to other fish. Animal water can be also represented by tiny fish anchovies, which are fried and wrapped with flour. The wrapping of tiny fish anchovies simbolises peace and harmony as fish anchovies often group together around food sources. Eggs are normally served in omelette. However in a genuine tradition, they should be served as a whole in which the shell, white and yolk simbolise that human act in life is supposed to be done by planning, implementing according to the plan, and evaluating for better result. Salad is normally served with coconut. This represents land plant where the types of vegetable are specifically chosen with meanings. Leafy Vegetable: can live in the land and water so that human should manage to live in any matters of life. Spinach: simbolises a secure and peaceful life. Bean sprouts: small vegetable contains big creativity for success in life. Long beans: always in a long shape with no cuts meaning human should think forward before action for longer living. Breadfruit: hopes for more and more luck and fortune, intellectual, better behaviour and manner. Keluarga Besar Masyarakat Indonesia di Hamilton (KBMI Hamilton NZ) is a community-based organisation of Indonesian society resided in New Zealand city of Hamilton. Its members consist of families, workers and students who live permanently or temporarily in Hamilton and the surrounding area. However, it is important to notice that its members can still include those who had involved and taken part in such KBMIH's activities in the past. The existence of KBMIH at the moment is actually a continuation of past efforts in establishing links and network between the members through several activities and events conducted by the past and current good people. What makes KBMIH so unique is that the closeness and connectedness between the members in this community is always kept with high tolerance in any matters as well as sharing anything they have in common. The main goal of KBMIH is to strengthen the closeness and connectedness between the members through several inland activities that are commonly organised and conducted by the members. The main event is the celebration of Indonesian Independence Day which is normally held around August every year whilst occasional pot-luck parties are the essence of relationship bonding. KBMIH also participates in several community events held by Hamilton City Council and other social institutions in order to socially interact with other community-based organisations from other countries, such as, Christmas Parade and Asian Indigo Festival. This weblog is a common source for current and former members of KBMI Hamilton NZ to post any things, such as, general writings, articles, random thoughts, jokes, poems, recipes, internet links, general news, personal announcements, advertisements, etc. in English or Bahasa via email to kbmihnz@gmail.com. Your posting will be anonymous (email address won't be saved) so just sign your name in the bracket at the end if you want to. Re-editing and censorship may apply.